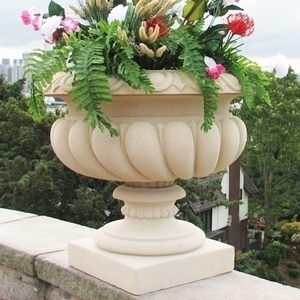 Large Garden Urn made from Sandstone. 5 Colors | Durable | Made in America. Perfect for Home or Garden and Patio. NVLV28 $482.00 28.00" 15.00" x 15.00" 25.50"